TV host and stage veteran James Corden has made us proud with his series of small-screen musical-theater tributes. After dynamite hat-tips to Phantom of the Opera, Grease, Beauty and the Beast and The Lion King, on the June 6 episode of his late-night show Tony winner Corden went home to London for a lively nod to a Disney classic. Corden gathered with friends on the streets of his hometown to sing from the musical favorite based off of P.L. Travers's Mary Poppins in a performance that added sparkle to nighttime TV viewing. 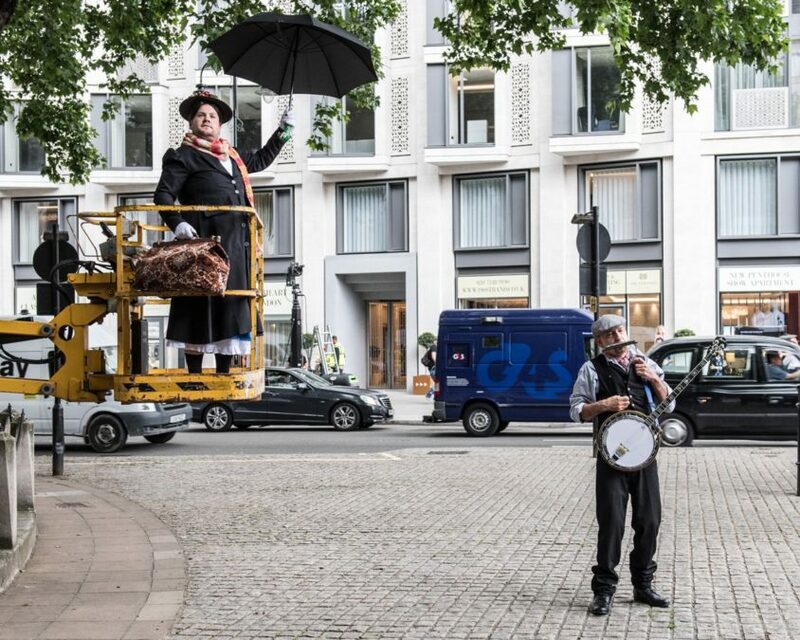 So open up your umbrella, down a spoonful of sugar and watch Corden spread his love for Mary Poppins in the video below.